France, époque Louis XVI (1774-1792). MATIÈRES : bronze ciselé et doré ; marbre blanc. DIMENSIONS : H. 46 cm. (18 in.) ; L. 35.5 cm. (14 in.) ; Pr. 16 cm. (6 1⁄4 in.). SIGNÉE SUR LE CADRAN: VERDIER A PARIS. 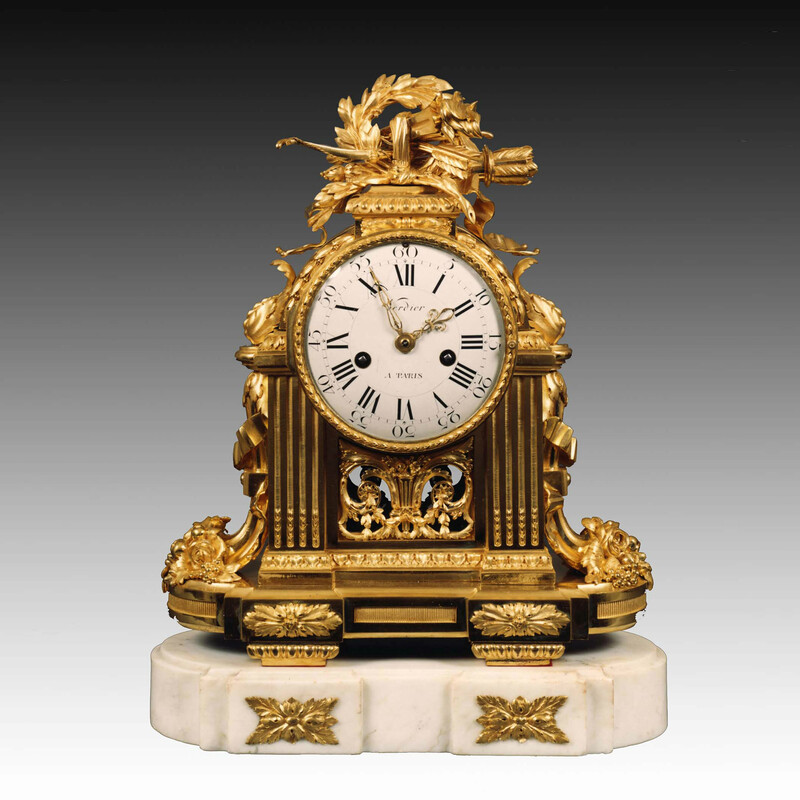 A Louis XVI clock decorated with two grooved pilasters, each one flanked with “corne d’abondance”, supporting an enamelled dial numbered in Roman and Arabic numeral, surmounted of a quiver, an arc, a torch and a laurel wreath. The all set rests on a white marble base in projection ornated with rosettes. A clock presenting a similar case was reproduced by Gabriel Henriot in his book entitled: Bronzes et bois sculptés des collections privées (fig.1).